Earth Foods to super-boost your day! Herbivore is dedicated to bringing you healthy nutritious flavour craving foods and snacks made with #OnlyTheGoodStuff! Kale is a superstar leafy green, high in vitamin A, C, K and a great source of minerals copper, potassium, iron, manganese, and phosphorus. Farm Fresh Goodness inside and out, Herbivore’s kale is freshly cut, chopped, squeezed, ground and sprinkled so their chips are as good on the outside as they are on the inside. Their kale is organic, fresh and locally grown using sustainable farming methods. They know their farmers by name and without these swell folk they could not produce the great product they do. Their chips are made within 24 hours of being picked to preserve nature’s goodness. Herbivore organic raw Kale chips are made according to an original vegan recipe, they are naturally gluten and trans-fat- free, made with dehydrated raw kale, not baked or fried. 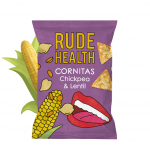 Sour Cream & Onion, Cheezy or Birds Eye Chilli, which will be your flavourite? 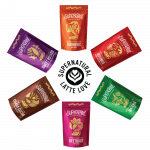 Super Cereal is made by sprouting nutrient dense buckwheat and quinoa seeds to “wake them up” and activate their living enzymes, allowing their nutrients to become bioavailable. Then only the best organic ingredients are added and dehydrated for 18 hours to preserve vital nutrients giving you the best nutrition to super-boost your day! There are 4 super flavours to choose from in 350g packs: Gingerbread, Fig & Cinnamon, Coconut Cacao and Vanilla Pecan. Naturally gluten-free, certified organic, no added sugar and made according to a raw vegan recipe. Like it says on the packaging, these are sooooo good, they’ll make you feel like a kid again! Herbivore’s Raw Organic Wholefood Sports Nutrition is made up of raw protein powder , it’s certified organic and is packed in compostable packaging. You can be sure of complete & non-isolated proteins giving you an unparalleled wholefood nutrition which is sugar free, suitable for diabetics, soy, gluten & wheat free, Non-GMO, hypoallergenic and made up according to a vegan formulation. 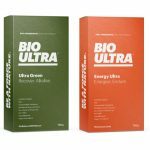 Bio Ultra is sports performance focused, providing the most nutritious and healthful performance products available. Their roots lie in raw wholefood nutrition, based on what nature provides, using raw non-isolated wholefood ingredients and minimal processing, as opposed to the industry standard of deriving unnatural ingredients from industrial and laboratory synthesized processes. They believe you are what you eat. Ingredients: Sprouted Buckwheat, Sprouted Quinoa, Sprouted Chia, Sprouted Flaxseed, Spirulina, Moringa, Yacon Root, Banana, Cacao,Vanilla Pod. 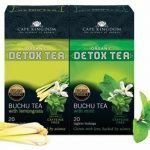 Available in 520g packs, there 4 different blends: Chocolate, Vanilla, Green Powder, (leafy greens) Energy Powder (fruits). Vanilla and Chocolate also available in single serving sachets. BioUltra also produce Watt Bites which are convenient energy balls that can be eaten on the go and ensure easy access to vital nutrients demanded by any athlete or healthful individual. 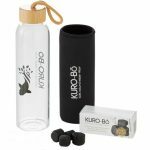 Each 45g pack contains 3 energy balls. Available in 3 flavours: Chocolate, Fruit & Vanilla. These raw YACAO chocolate barks are truly guilt-free! Made from raw cacao and Yacon syrup (extracted from the Yacon root) which is high in antioxidants and potassium. Smooth and rich with the depth of flavour only found in raw nature. No added funny stuff. 3 tree-mendous flavours. A righteous mouthful. When you crave something tasty to hit that sweet spot but don’t want to worry about what ingredients it’s got. Our righteous date balls are made from #OnlyTheGoodStuff and you’ll probably find that just three may well not be enough: 3 tantalising flavours. Power porridge is made by sprouting nutrient dense buckwheat and quinoa seeds to “wake them up” and activate their living enzymes, allowing their nutrients to become bioavailable. We add only the best organic wholefood ingredients and dehydrate them for 18 hours to preserve vital nutrients, giving you the best nutrition to super boost your day in three irresistible ways. Crunchy, flavourful kale sprinkles to liven up any dish or movie night popcorn. Sprinkle over salad, pasta, soups or anything your heart fancies really.